I have a love–hate relationship with photography. Ever since I was a kid, my recollection of events and places is tied to particular images either mum or I captured. My earliest memory is as a two year old, on a family holiday to New Zealand: we’re dressed in bright yellow plastic ponchos and I’m clinging to dad’s leg as this little tour boat cruises into the spray of a majestic waterfall. Flicking through mum’s extensive photo collection as a teen, I discovered this precise photo, detail for detail. Which came first: the experience or the image? I still don’t know. Colloquially, my condition is known as ‘snap happy’. Once I possessed my first camera around ten, the world was mine. Any experience could be reproduced with an image. And there was no better experience to capture than a hike. Atop gusty Mt. Kinabalu in Malaysia; besides the still reflections of the Rockies on Lake Moraine; traversing craggy peaks at Cradle Mountain in Tasmania—wherever it may be, my trusty camera is by my side, ready to re-present the glories of God’s creation in a negative. 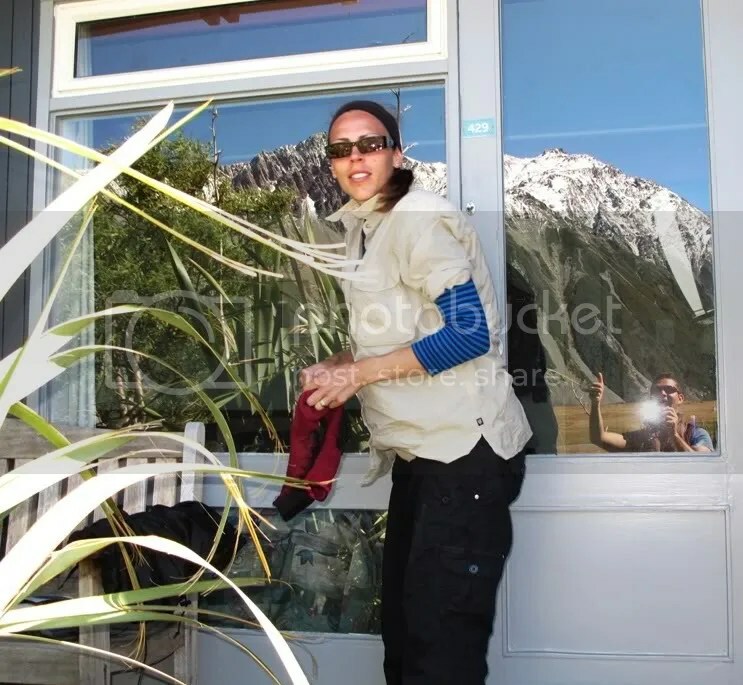 So when we returned to New Zealand this last holiday—a haven for happy snappers—it was no surprise (or joy) to my wife Nikki that my camera came too. On my good days, I love photography. The image is a marker stone celebrating where we’ve been. It reminds me of this impalpable beauty, this sense of wonder standing like a toddler before a world too big to fathom. Take the photo below. The day after a dump of fresh snow, Nik and I are tramping up to 1800 metres at Mueller Hut. 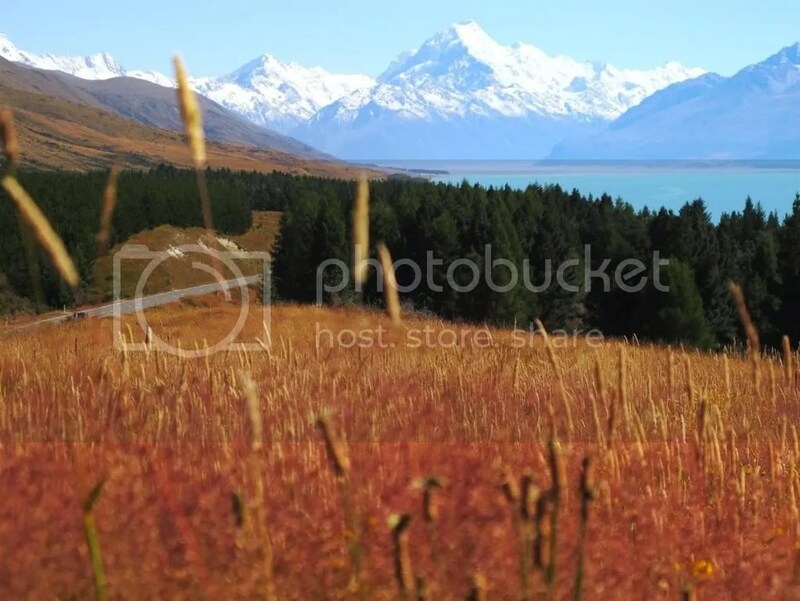 We’re opposite New Zealand’s most famous peak, Aoraki, the cloud piercer—better known as Mt. Cook. I didn’t want to forget this! Simply stunning. I wielded my camera like a priest swinging his thurible as smoke fills the temple: click, click, click—my spirit sang something too deep for words as pixel met pixel in a panorama of praise. It didn’t seem to matter how many shots I snapped, I could never do this justice. But herein lies my ‘hate’ relationship with photography, for I am a frustrated photographer. How much the flat image leaves out! Looking at this image, you just don’t get it! 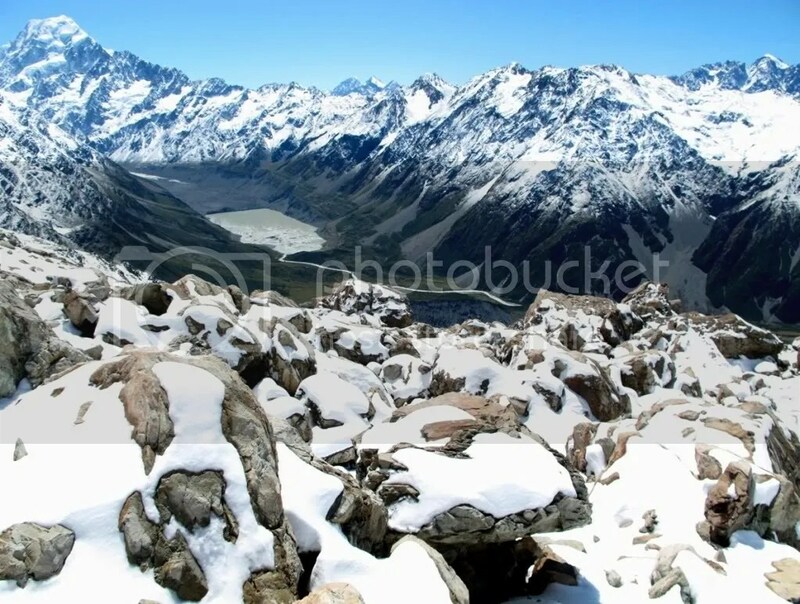 You can’t see the peaks past the white-space of the photo’s border. You aren’t chewing on fresh snow as it revives your energy following the tiring climb. You can’t sense the sun beating on your shoulders, or hear the song of the Kia as it swoops from God-knows where to steal your lunch! And that’s not even to mention the groan of the glacier and the thunderous crack of the occasional avalanche, all in the company of my beautiful and athletic wife! You see an image; I recall an experience. Two dimensions cannot do Mueller Hut justice! How irreducible is the grandeur of a mountain! And yet, I do try. I persist in taking image after image, reducing the wonder to a digital reproduction viewable on my 5cm2 preview screen. But why? My frustration rises, though it’s no longer about the view. It’s about me. It’s so subtle. The shift from praise to power is subconscious. Unlike my wife, content to swim in the ineffable experience—a small part of the whole, taking beauty into herself—I desire to ‘capture’ the moment. What is bigger than me must be reduced, made manageable—it’s to be controlled and brought out to impress friends. “Wow, you take great photos; where was that?” Yes, forget the scenery and notice my grandeur. My camera has become a mirror, celebrating my skill and reflecting my ego. One photo is never enough: I squat in the snow seeking just the right angle, and for good measure take another photo of my wife’s back—the frustrated photographer’s wife—as she treks on to greater vistas. I and It, or I an d Thou … how do we engage the world? Perhaps you’re familiar with this classic distinction made by Martin Buber way back in 1923. On that magnificent hike, seeing everything as through a lens, I managed to reduce creation, the Creator, and even my wife to an It. It is merely an object detached from myself, waiting to be managed, captured and controlled for my own purposes—a flat image to induce excitement over past experiences or adulation from impressed onlookers. Like a scientist staring only through a microscope, I was killing the specimen to keep it still. When the world reduced to an It, wonder gave way to frustration. The same temptation presents in all manner of fields: the frustrated teacher, frustrated theologian, frustrated husband, frustrated son, the frustrated human. In trying to ‘capture’ something—whether a panorama or a potentate—we inevitably reduce it to something less than it is in order to bring it under our control. But creation and the Creator defies reduction. At the heart of our existence is relationship with an unbounded other, Thou. Approach with wonder; engage with delight—my best attempts to understand the other and re-present the experience are but a humble invitation to live beyond myself: my power, and my control. The frustrated photographer in me is still learning to let go. I can’t capture a mountain; how much less can I capture the eternal Thou in whom we all live, move and have our being. Without meaning to sound cliché, I am so thankful to God who has already offered us the perfect image in His Son. I don’t yet perceive or relate as I ought, but by His humble self disclosure and ineffable light, I’m beginning to see everything else clearly. John 14:9; Colossians 1:15-20; Hebrews 1:3.